Perry was most recently senior manager of business strategy execution for Nissan North America. NASHVILLE, Tenn. -- Nissan North America said today it has switched managers for marketing the company's multibillion dollar initiative to sell electric vehicles. 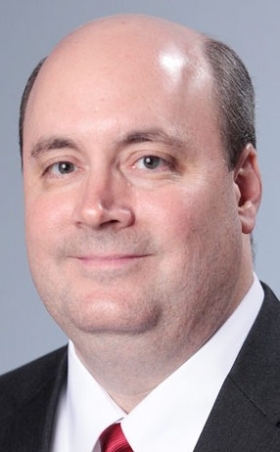 Nissan veteran Toby Perry, 43, became director, electric-vehicle sales and marketing on Feb. 3. He replaced Erik Gottfried, 37, who had been in the post less than a year. Gottfried was senior manager, customer quality and dealer and network development, prior to taking the EV marketing job and is moving back to that department as its director, a Nissan spokesman said. His new position will be integral to the effort by Jose Munoz, executive vice president and head of Nissan North America, to build the company's dealer network and improve franchise values, the spokesman said. Gottfried replaced Brendan Jones, who in March 2013 moved to head Nissan's effort to expand the EV charging infrastructure in North America. Moving to zero-emissions electric-drive vehicles is an often-stated goal of top Nissan executives, including CEO Carlos Ghosn. Nissan has spent heavily on the effort, including a $1.6 billion investment to build capacity for 150,000 Leafs and 200,000 lithium ion battery modules annually at Smyrna, Tenn.
At the Detroit auto show, Nissan Chief Planning Officer Andy Palmer, the company's No. 3 executive, said that EVs remain central to Nissan's vision of the future. "We will not relinquish our lead in electric vehicles," Palmer said. "Despite the naysayers, this is the era of electrification and electronics." In early 2013, Nissan cut the price of the Leaf by $6,400, putting the base price of a 2013 Leaf S at $28,800, down from $35,200 on the 2012 base model. The base price for a 2014 Leaf is $28,980. Prices do not include shipping. In January, Nissan sold 1,252 Leafs in the United States, its best-ever total for January. That was up 93 percent from the 650 units it sold in January 2012. For all of 2013, Leaf sales in the United States hit 22,610 units, up 130 percent from 9,819 in 2012. Most recently, Perry was senior manager of business strategy execution. Since joining Nissan in 1995, he has held a number of sales and marketing positions in the United States and Europe. Perry holds a bachelor's degree in international business and marketing from Bradley University. "With Toby's nearly 20 years at Nissan, the breadth of industry knowledge he brings to this role will be invaluable as we aim to increase visibility of LEAF in new markets," said Fred Diaz, senior vice president, Nissan sales and marketing, parts and service, U.S.A., in a statement. Nissan, an early entrant in EVs with the Leaf, is introducing its second global all-electric vehicle, the e-NV200 compact cargo van. Nissan will launch e-NV200 in Europe this year, followed by its debut in Japan. Nissan is partnering with FedEx Express, a subsidiary of FedEx Corp., to test the vehicle in the United States.